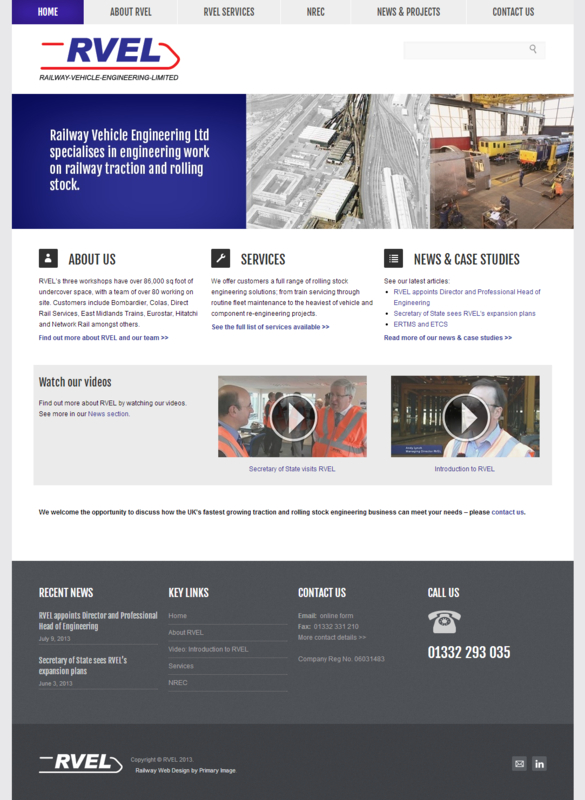 Primary Image created this modern-looking website for one of the UK’s leading railway engineering firms – RVEL – who are based in Derby and have a team of over 80 people. Their customers include Eurostar, Network Rail, Bombardier, Direct Rail Services (DRS), East Midlands Trains (EMT), and Hitachi, amongst others. Their previous website was very outdated and they needed to convey a more professional image of their business (click on the thumbnail to see it!). 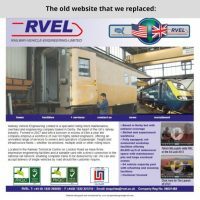 RVEL’s old website also used Flash, which meant it could not display properly on all devices (e.g. iPhone and iPad). The new RVEL website, created by Primary Image, has a clean design that is neatly structured. It is based on the current design trend of having block shapes and flat colours. Large navigation buttons at the top of the page take visitors to the different sections, whilst the home page quickly conveys what the business is about and offers various pathways. RVEL also wanted their videos to feature prominently in the design, which are directly embedded into the website template. On some pages, such as the About Us section, we created animated toggle panels so that a large amount of information can be displayed without the pages looking too heavy with content. 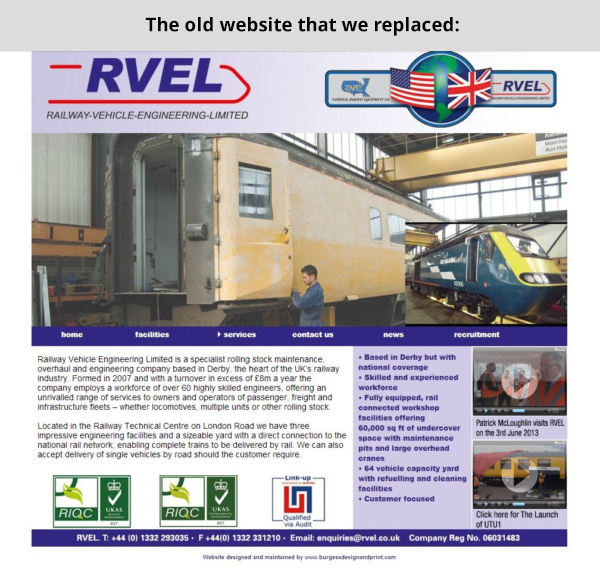 The page headings (apart from the home page) also feature a railway track in the background to reinforce the industry sector that RVEL is in. The news section is used by RVEL to promote their press releases and case studies, whilst they were also keen to have LinkedIn buttons to provide further ways of keeping in touch with their audience. The website is designed to be mobile and tablet friendly, meaning that it changes its shape to make it easier for visitors to read. The new RVEL website is also very quick to load through careful optimisation (reducing image sizes, the number of file requests, etc) and, on launch, was given a very good performance grade of 88% from Pingdom. 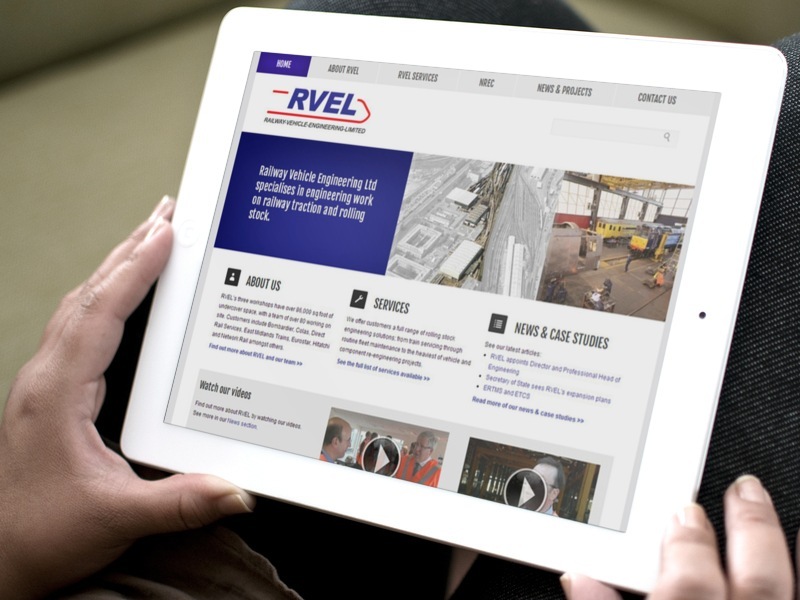 RVEL’s website is well optimised for mobile devices, featuring a responsive design to deliver a good experience for mobile users. You can read more on the Marketing Derby website. 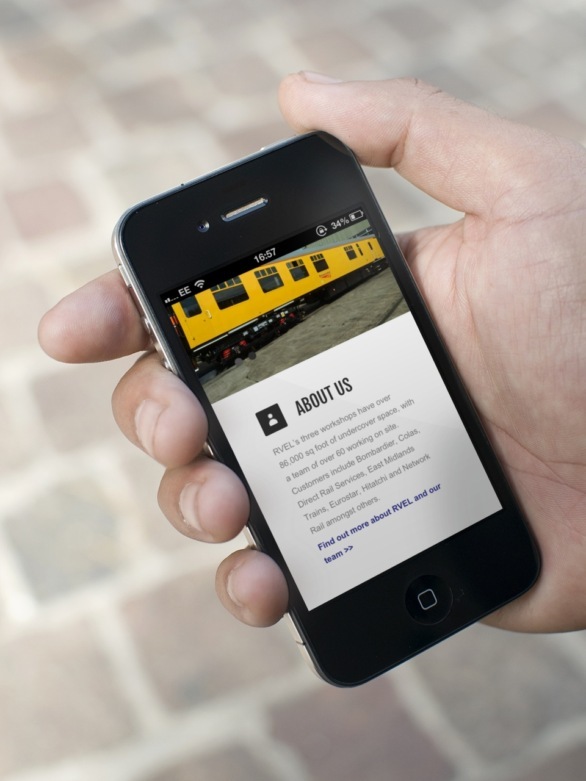 Primary Image is one of the UK’s leading web designers for the rail industry. See our rail section for more details.